A year ago, all eyes watched as Take Two Interactive began to fight off EA’s hostile takeover bid. Today, stock watchers checked back in to see how the company was performing months removed from leaving that challenge behind. The result was mixed. In earnings announced after the close of markets, the game publisher reported higher than expected sales for the first quarter but set second quarter guidance below analyst targets. For the quarter ended January 31st, Take Two reported a net loss of $50.4m (66 cents a share) on sales of $256.8m. That compares to a loss of $38m (52cents a share) on revenue of $240.4m for the same period last year. On a non-GAAP basis, the company said it would have lost $39.3m for the first quarter compared to a net loss of $30.3 million or $0.41 per share in the first quarter of 2008. Analysts expected a net loss of 73cents a share on revenue of $210.5m (Thomson Reuters). Digging into the numbers, growth in first quarter sales owed heavily to the continued strength of the company’s flagship Grand Theft Auto franchise. Games under the GTA banner contributed about $60m, or 40% of publishing sales, to the quarter’s revenue. Following the introduction of a new GTA Sku for the PC, revenue share for the PC platform jumped from 10% of publishing revenue a year ago to 24% in Q1. 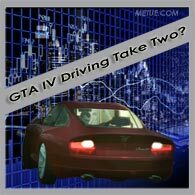 Worldwide through January 31st , more than 13m units of GTA IV have sold. Looking ahead, the company has a number of high profile sequels in its pipeline for the rest of 2009. Releases include Red Dead Redemption in the fall, BioShock 2, Mafia 2, and new installments of the company’s major sports franchises. Unfortunately, the titles don’t appear poised to drive a second quarter in-line with analyst expectations. For the second quarter, the company is forecasting revenues in the range of $200m to $220 with a non-GAAP net loss in the range of ten to twenty cents a share. Wall Street consensus for Q2 called for revenue of $263.72 million and earnings of 4 cents a share. For the full fiscal year the company expects earnings to fall between $0 and $0.20 cents a share on revenue of $1.1 to $1.25b.